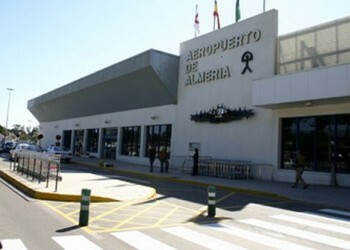 You might not have noticed, but Almeria airport has been on strike for 73 days now. Actually, it’s the Swissport ground handling staff, who went on strike back in August at 8 airports across Spain: Barcelona, Jerez, Almería, Alicante, Málaga, Fuerteventura, Valencia and Barajas cargo. The strike is now Spains longest airport strike. Swissport employees have been complaining about staff layoffs which, they say, meant those who remain have to work much harder, as well as salary cuts. The strike has now ended after union reps and the company agreed a programme to discuss next month. Quite what Swissport do at Almeria airport, I have no idea. But they weren’t doing it, and now they are. If anyone notices the difference, let me know please! This entry was posted in Blog and tagged airport, almeria, ccoo, lei, strike, swissport by David. Bookmark the permalink.